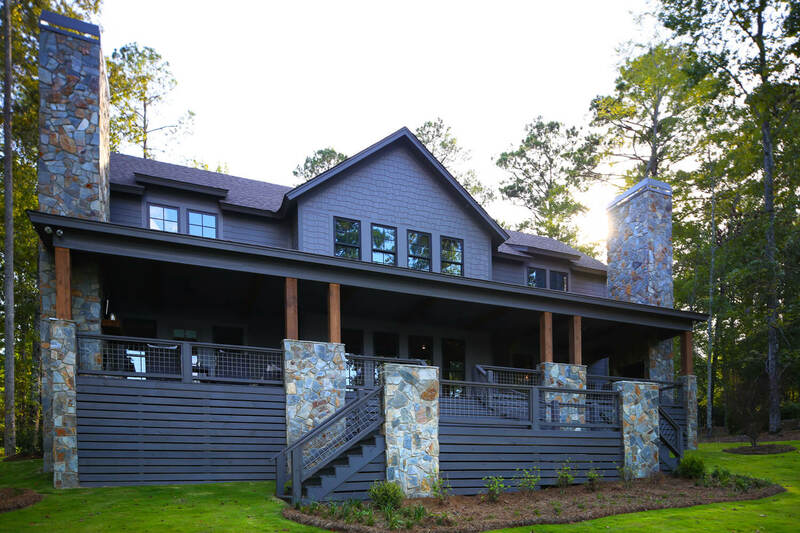 Foshee Architecture designed this Lake Cabin with family in mind. 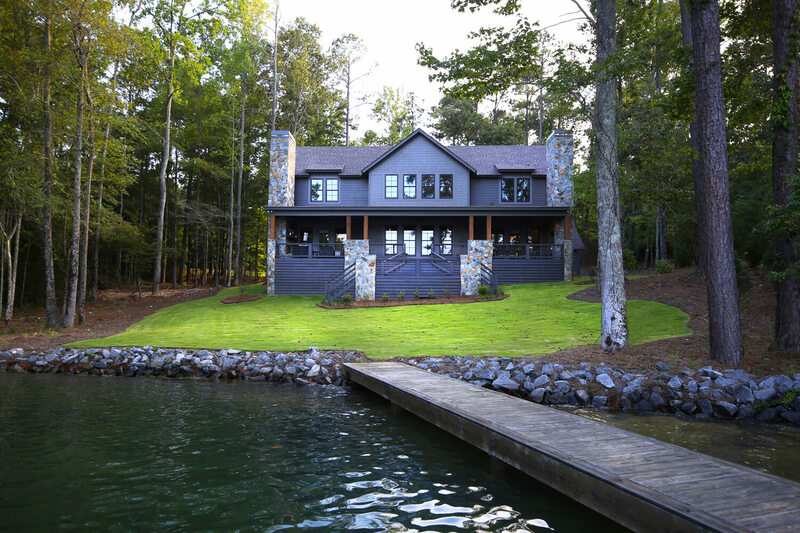 The Owner desired a cabin on the lake for her entire family to gather in one location. 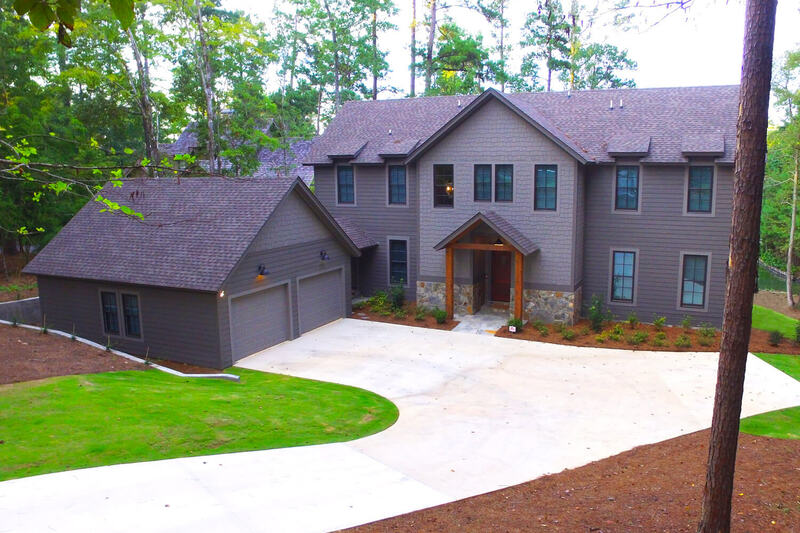 With children and grandchildren located around the South, this home serves as the central hub. 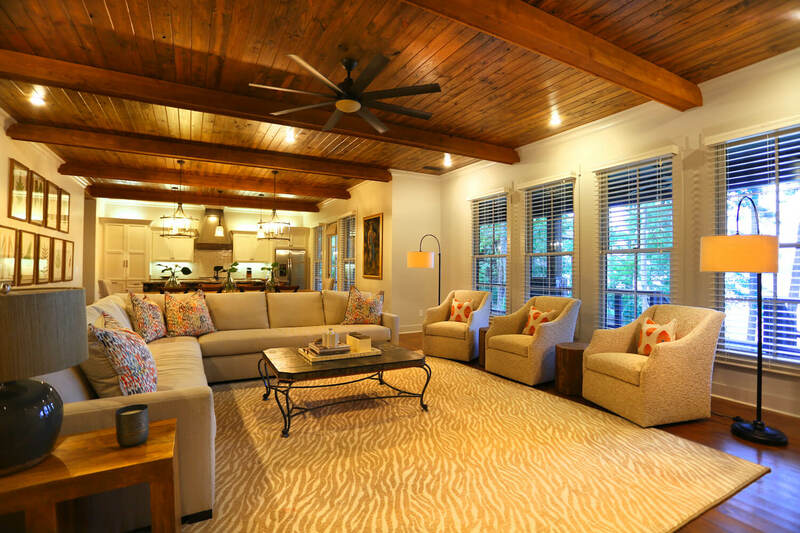 On the interior, guests enter into the main living area. The Dining Room and Kitchen are part of the open concept. 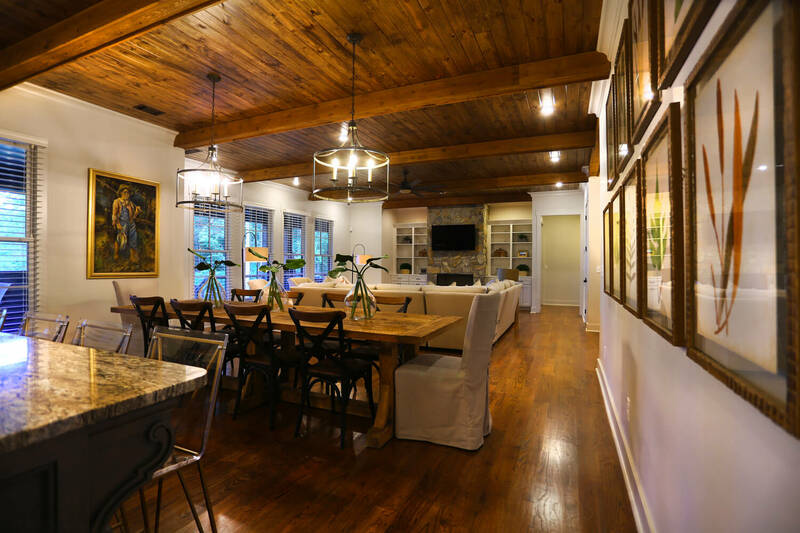 The ceiling of these rooms connects with stained wood boards and decorative wood beams. 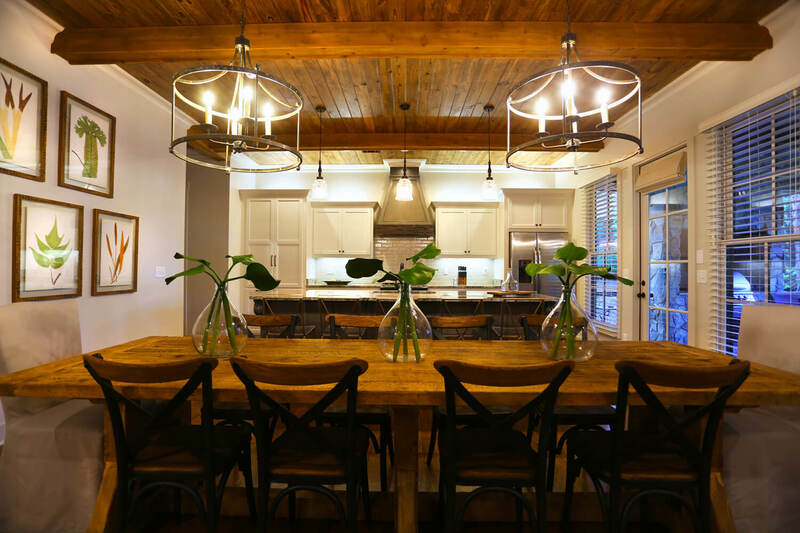 The gorgeous light fixtures help to define the different zones in the room. 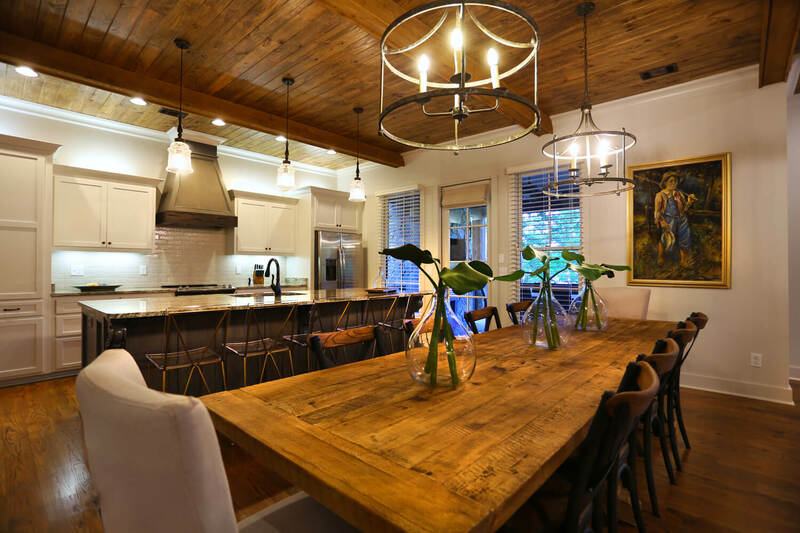 Beautiful furnishings add the finishing touches to make this room sophisticated, rustic, and yet charming. 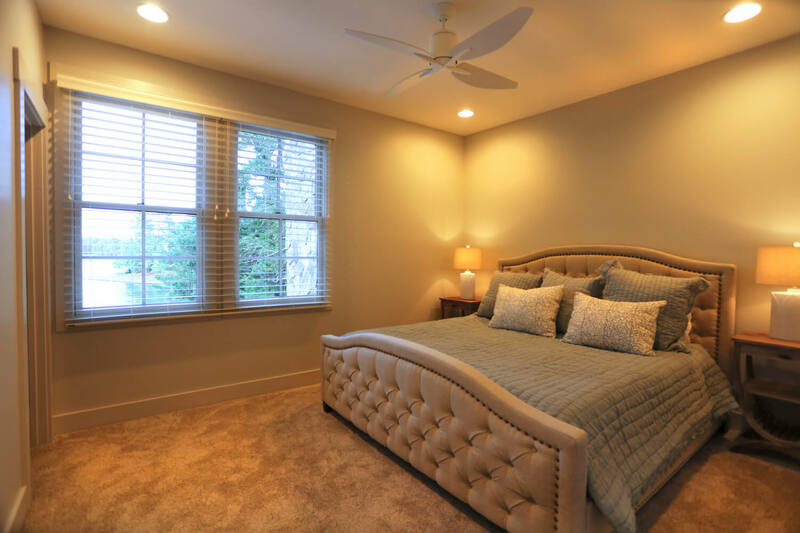 Leaving the living room, the Master Bedroom is adjacent, yet private. The large room features a beautiful view of the lake. In addition, the ensuite bathroom is amazing! A large soaking tub frames the view as you enter. 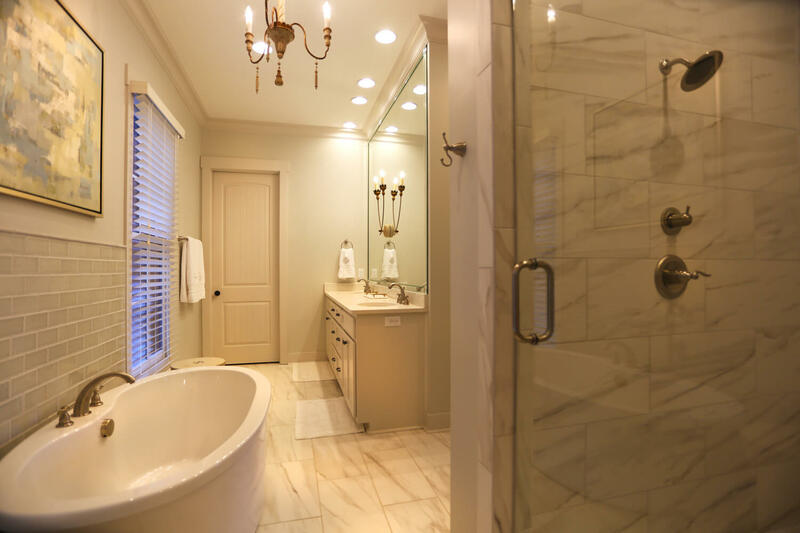 Also, there is a large shower, custom tile work, and a double vanity with quartz countertops. Upstairs, there are six more bedrooms. 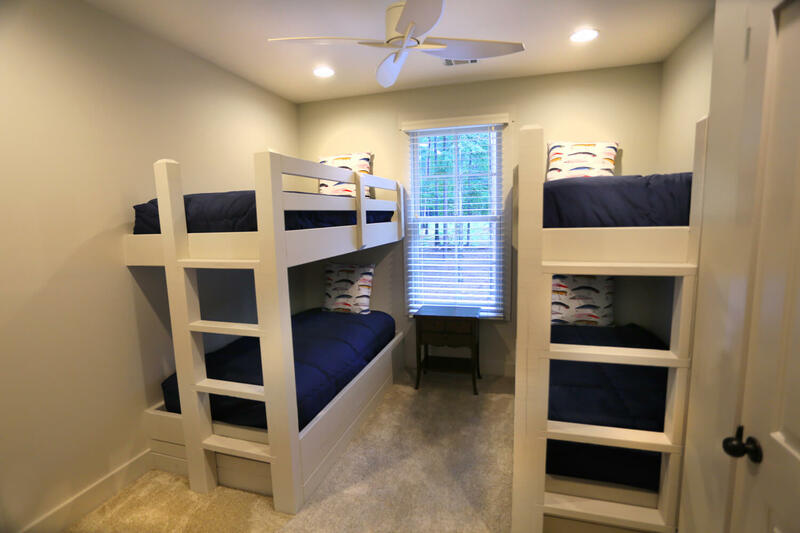 Two of the bedrooms house built-in bunk beds, each room sleeping at least four. We sized the other four bedrooms upstairs for king sized beds. 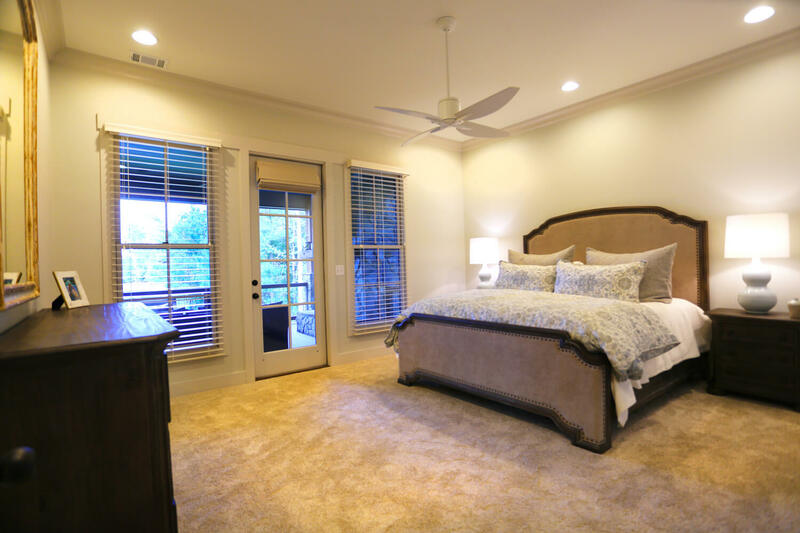 These rooms all have a lovely view of Lake Martin and each feels nestled in the treetops. From the large front porch, one can cook dinner, relax in a rocking chair, watch television, or supervise the children playing in the water. 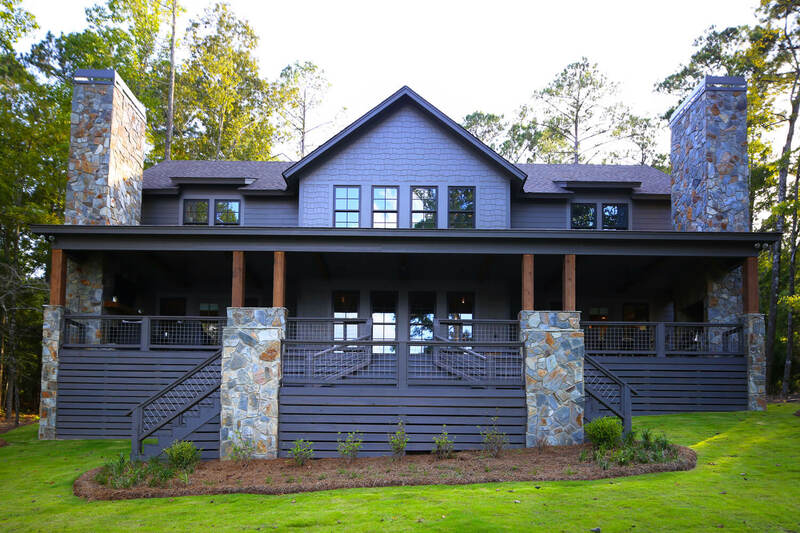 The design has a separate seating area on one side of the porch, with a builtin fireplace and television. The other end of the porch includes an outdoor kitchen and dining table. Stairs lead from the porch down to the dock and the lake.